Ganguly also picked Pant and Rahul in his squad as the back-up wicket-keeper and opener respectively in the 15-member India squad for the mega event in England and Wales. Despite all the hoopla and buzz around the cash-rich Indian Premier League (IPL), the primary focus remains on the more serious version of gentlemen’s game – international cricket as selectors gear up to pick the 15-member India squad for the upcoming ICC World Cup 2019, slated to be played in England and Wales. As per the roster, BCCI is expected to announce India’s 15-man squad led by Virat Kohli on April 15. It will not be an easy task for the world’s richest cricket board as they have to make quite a few tough decisions for a couple of spots. However, former India captain Sourav Ganguly has revealed his 15-member squad for the mega event, scheduled to start from May 30. 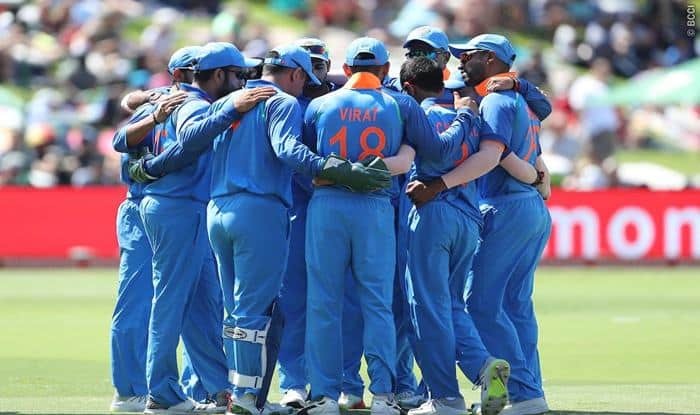 While there are a few common names out in the squad with Virat Kohli, Rohit Sharma, Shikhar Dhawan, Jasprit Bumrah and Hardik Pandya making the cut with ease, Ganguly made an interesting choice, which is likely to leave Indian fans stunned. Ganguly picked his World Cup squad based on sheer ‘talent’ and considering the conditions in England at the time, he also added a player, who can be the men in blue’s ‘X-factor’. “There are a few surprises in my team which is only based on sheer talent. In England, the need for pacers is highly important,” Ganguly told IndiaTV. In the ongoing IPL, Navdeep Saini has impressed everyone while playing for Royal Challengers Bangalore (RCB). He has consistently clocked over 150 kph with ease. Moreover, the young Karnal-born pacer had been mighty impressive in the domestic circuit and Ganguly feels he could be an X-factor in the team. “There are a few surprises in my team which is only based on sheer talent. In England, the need for pacers is highly important. “According to me, this is the best possible team, there’s no guarantee whether we can win the World Cup or not, but in England, you need four pacers. With Hardik’s back giving trouble, we need pacers present and I feel that along with Bhuvneshwar, Jasprit and Shami, we need a pacer like Navdeep Saini. You need an X factor in your team which can be Navdeep,” he said while speaking to India TV.